From The New York Times bestselling author Lee Child comes one of the most compelling heroes to step from novel to screen - ex-military investigator Jack Reacher (Tom Cruise). 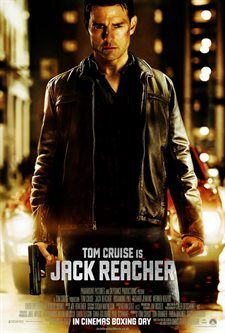 Download Jack Reacher in Digital HD from the iTunes store. Jack Reacher images are © Paramount Pictures. All Rights Reserved. Tom Cruise, the somewhat diminutive movie star, brings to life the hulking figure of ex-military cop Jack Reacher, in Christopher McQuarrie's film adaptation of Lee Child's novel One Shot, and goes a long way in proving the point that size really does not matter. A somewhat disturbing opening scene that sees a sniper take out five random innocent unrelated passers-by is wrapped up by chief investigator Emerson (David Oyelowo) in no time at all in what seems like an open and shut case. With prime suspect James Barr (Joseph Sikora) behind bars and Emerson sure he has his man. Things change when Barr asks for the mysterious Jack Reacher. Reacher is a throwback to yesteryear, a "ghost" that drifts well off the grid, invisible, just using cash and not relying on the technologies that many of us take for granted. Reacher for his part does not want anything to do with Barr except put him in his grave, a promise he made after investigating him while on a tour of Iraq. After a chance meeting with Barr's lawyer, Helen Rodin (Rosamund Pike), and a touch of persuasion the drifter stays, but you sense not to prove that the accused is innocent, more to prove that he himself is right. Although Reacher's military training has a given him a mastery of combat weapons as well as being an expert at unarmed combat, what is refreshing is that he also has brains, using that investigative mind to think things through logically, and he knows when he needs help. Help he gets by way of an excellent cameo performance from Cash (Robert Duvall). It makes a change to watch a film that does not use tons of special effects but, rather, good story to keep you riveted to your seat, and although this one isn't as complicated as McQuarrie's screenplay for "The Usual Suspects", as each layer of the onion is peeled away, you can't help but wonder where the next layer of Jack Reacher will lead you. With a twist here and there you are led to not such a gripping conclusion but a satisfying one and maybe this is my one negative of the movie. 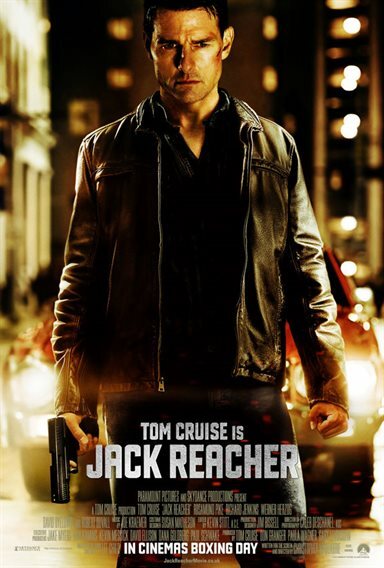 I confess I have never read a Jack Reacher book, but I did see the outcry from fans of Lee Child's work when Tom Cruise was named to play the role. Cruise for his part acknowledged this, as did Child, who gave his full backing to the Hollywood star; it pays off, giving us in Reacher one of the best action movie performances by Cruise in recent times, perhaps with the exception of the Mission Impossible films. 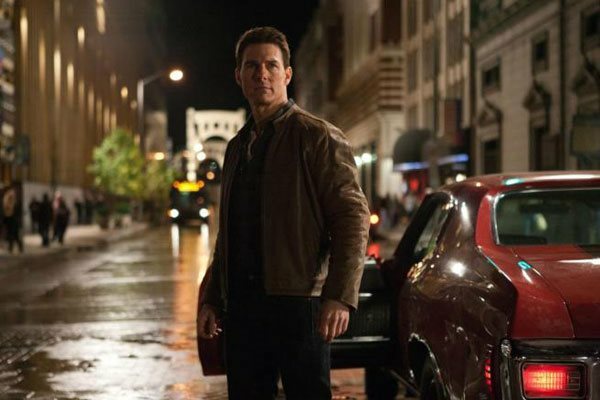 Jack Reacher images © Paramount Pictures. All Rights Reserved. It was okay, maybe to convenient for me. Jack seems to know everything.